The Cross Keys - Turnditch, Derbyshire. I've driven past this place loads of times, but it's never somewhere I've thought to go for a meal. So after hearing a few people mention this one over the past few weeks, I thought it was time to give it a go. We arrived about half an hour before we were booked in to have a drink in the bar. The bar area is quite small, but the space is used well. It was mainly the restaurant being used anyway. The staff were all really friendly & welcoming which was great. We were offered menus to look at in the bar and were told to let someone know when we wanted to be seated. The menu had a good selection along with a stone baked pizza menu too. Plus, there were specials available. I chose to have macaroni cheese, something I've never tried before. 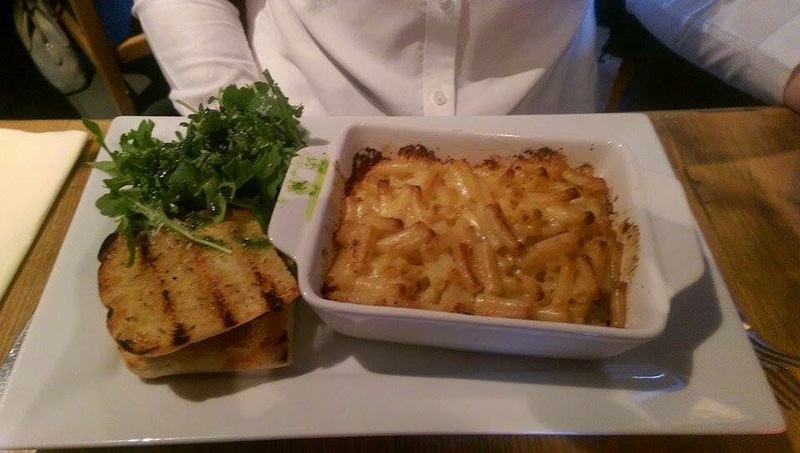 Although I have no previous Mac & cheese to compare this to, I thought it was good, as well as the garlic bread that accompanied. Ashlea (my boyfriend) chose to have pork loin (from the butchers next door, how convenient!) 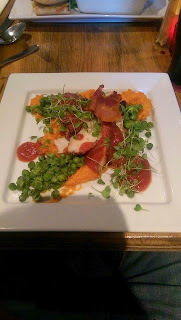 with sweet potato purée, crushed peas and streaky bacon. Now, when this was served, the purée and peas were cold. The waitress was very apologetic and went straight back to the kitchen to get a new one. The fresh plate only took a few minutes to come out, which we didn't have any problems with. Most often that not, we tend not to go for sweets, but we couldn't help ourselves! Again, there was a variety to chose from, along with a selection of local ice creams. 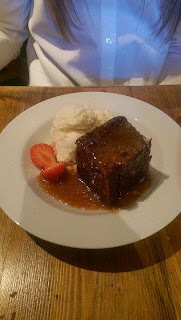 I had the sticky toffee pudding, it was delicious. I came with vanilla ice cream and was garnished with Strawberries. 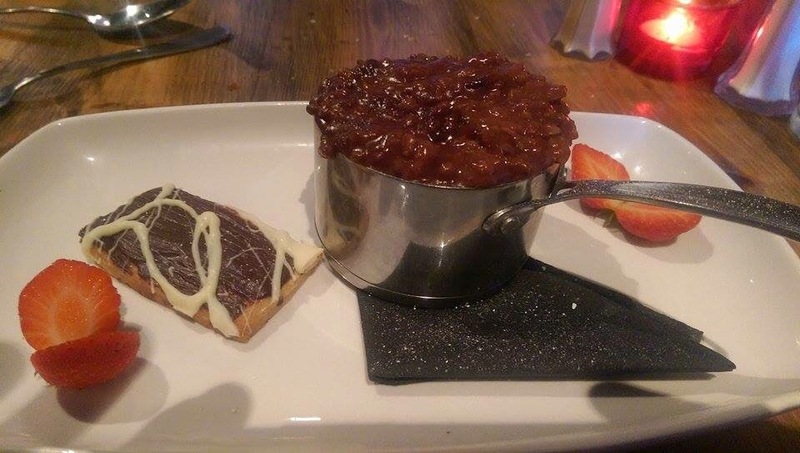 Ashlea chose to have a chocolate and orange risotto, it had us both intrigued! This came with homemade shortbread and some Strawberries too. This was also delicious, but couldn't be finished purely due to us both being so full. Overall, I enjoyed my meal at The Cross Keys and would definitely go back! I thought that it was a great little restaurant in a quiet country location. The decor was nice with a cream/ purple theme throughout with an open fire (which sadly wasn't on, but it would've been far too warm) and I loved how cosy it was in there. 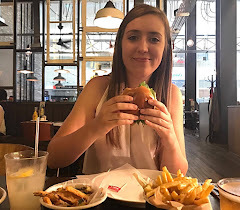 I think that the size of this place is great, not too big and not too small, which meant that the service was quality and is obviously manageable. I would recommend this place, for sure.